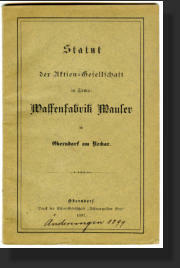 This page describes some of the different types of documents available in the Paul Mauser and early Mauser Archives. 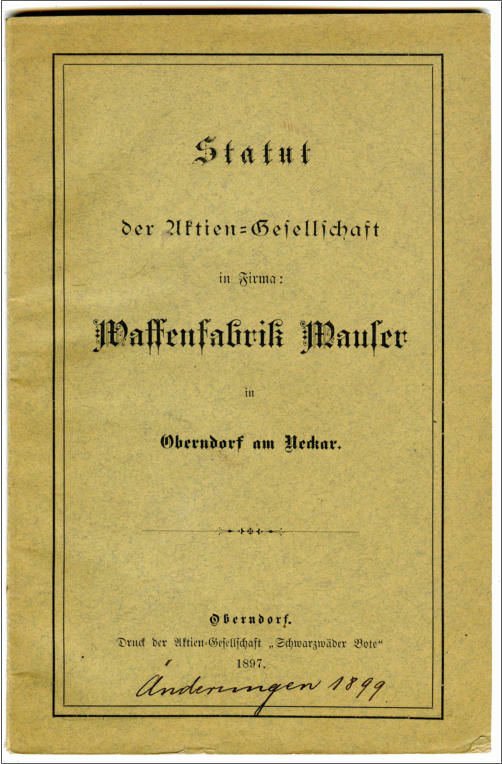 A more complete description of all types of documents is available in the book: Paul Mauser - His Life, Company, and Handgun Development 1838 - 1914 . 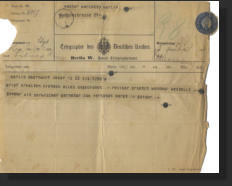 Should you have or find any Mauser document, please contact the author for appraisal (mauser.archive@gmail.com). 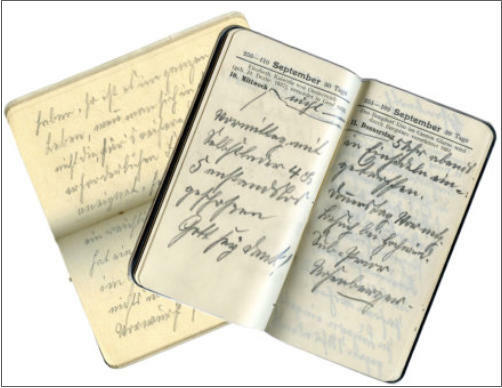 Several handwritten diaries are part of the Paul Mauser collection. Paul habitually wrote regularly and daily in his diaries, maintaining a running record of his thoughts and actions. 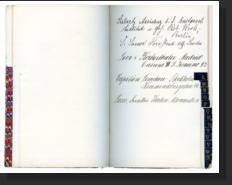 The form of these diaries is simple and, in some cases, they are diaries that were offered to promote product distributors or banks. They are mainly working documents that Paul Mauser used to write down personal reminders of events, ideas, drawings and other thoughts. 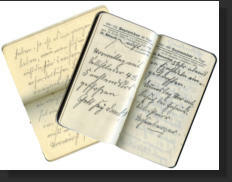 The diaries show that Paul Mauser was really a busy man, travelling a lot in Germany and abroad. 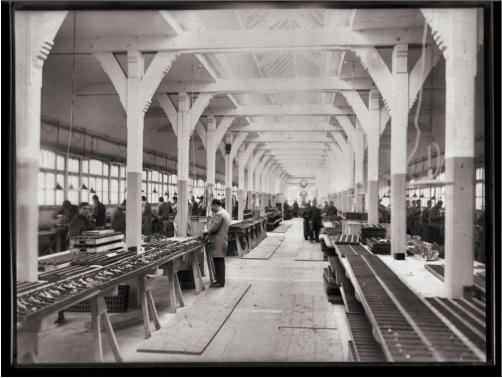 Despite his leadership role at Mauser he was totally involved, until the end of his life, in the technical aspects of the design and production of his company's products. 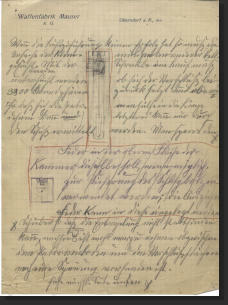 Most probably, Paul Mauser had several address books in his life in which he wrote down the name and address of his points of contact at different levels. One of them has been found and the entries provide a nice insight into the range of noted people Paul Mauser was used to contacting: high level military and business officers, diplomatic people of several countries, and technology collaborator. A broad range of types of business and personal letters have been discovered in the archive. The personal ones show different aspects of Paul Mauser's personality. 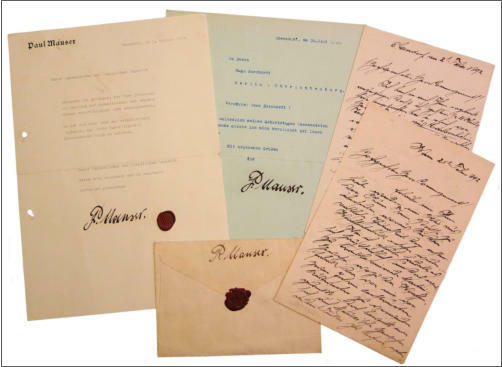 The professional letters were initially handwritten by Paul and then passed to the secretary to be typed. 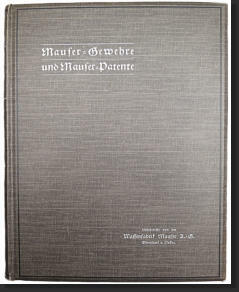 Usually the letterhead shows an embossed Paul Mauser inscription. Paul Mauser then signed the typed letters and in some cases, they received a sealing wax stamp. The envelopes were, in most cases, wax sealed or closed with a personalized label recalling the seal's design. Many telegrams were exchanged daily with several collaborators. The telegrams were handwritten by Paul and then passed to the secretary. 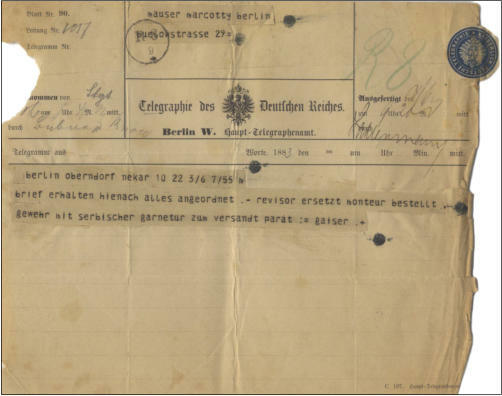 Lots of telegrams were also written by Paul Mauser from abroad to the Company during his business travels. 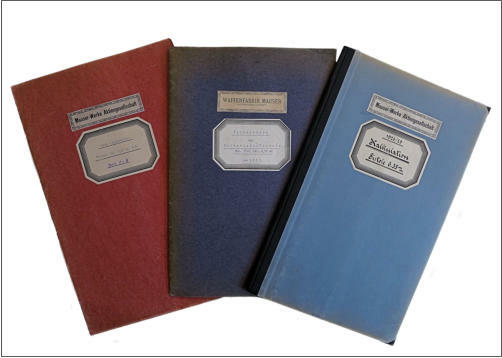 The production and calculation books are important documents that provide great information on the firearms themselves as well as techniques used by Mauser to perform production cost calculations. Each production step is considered with the name of the technician and/or engineer involved. This is interesting because we now know, for each year, who was involved in a specific aspect of making the firearm. 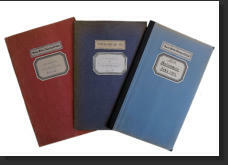 The sales books provide day by day sales figures for the different types of firearms produced at Mauser. 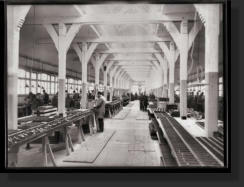 It is also possible to determine the different dealers working with Mauser in each country where Mauser did direct business. A design notebook was utilized like the modern sticky note to communicate ideas between Paul and his collaborators. It is interesting to highlight that Paul Mauser commonly noted things on all kinds of available paper, from restaurant receipts to simple undated papers. He kept those that were particularly interesting. 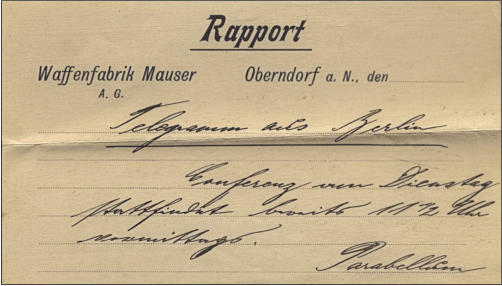 Rapport can provide useful information about tests and experiments, for example the rapport exchanged the 25th of January 1894 between Feederle and Mauser describing the grips and frame of the future C96 pistol. 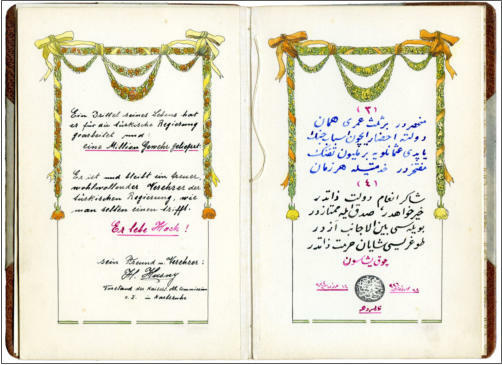 The special documents represents rare examples of documents provided to Paul Mauser in special occasions; for example the document on the right was provided to Paul Mauser by H. Husny Bey, the chairman of the imperial Ottoman commission for his 70th birthday. 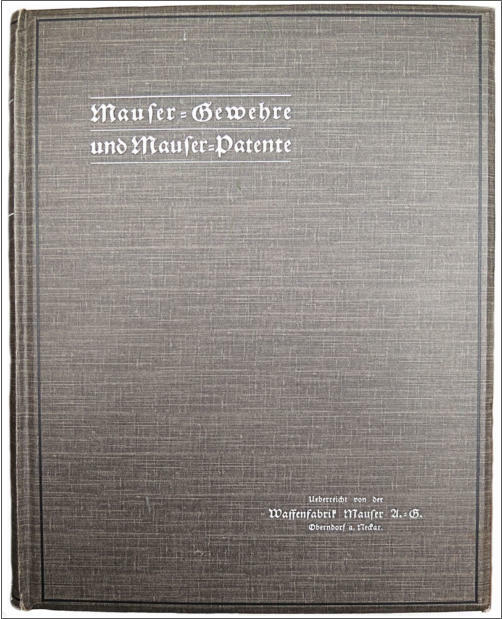 This high quality leather booklet contains an inscription in German and old Turkish underlining the importance of Paul Mauser in the relationship of the two countries. 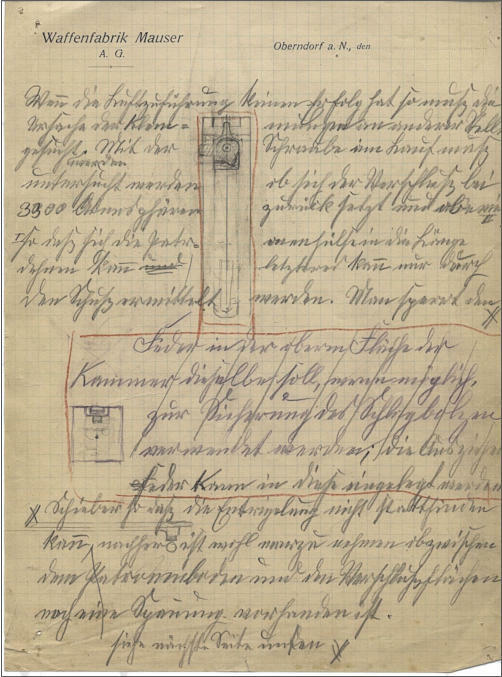 An interesting find in the in the Paul Mauser Archive is the discovery of a a few notebooks from Mr. Zirn, one of the Paul closest collaborators. 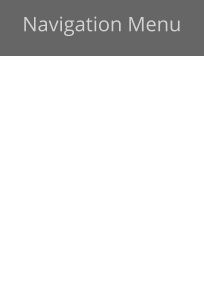 It is possible finding the signature of Mr. Reinhard Zirn on different documents; i.e. 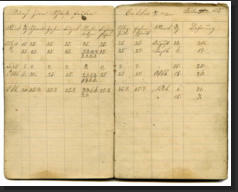 in the maintenance booklets where it was reported the oil change rate for engines, punishment note for employees that was used when they arrived late to work... For our perspective, one of his most important Zirn’s activity is the maintenance of the production books. 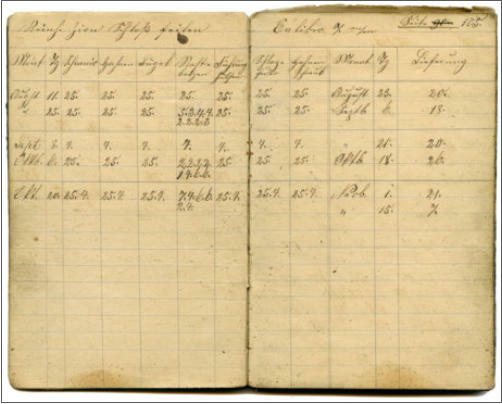 These books shown the daily production for each employees and for different weapons. 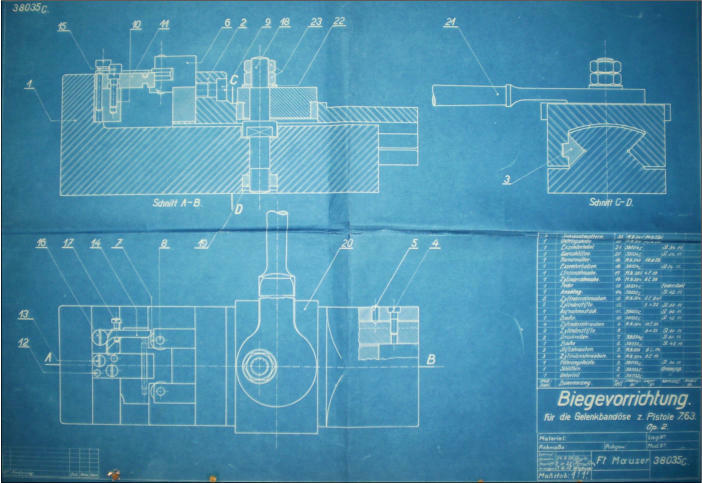 For the most part, two types of drawings have been found in the archive: blueprints of firearms and a lot of early drawings of the production tools used in the different workshops at Mauser. These drawings provide great insight on early production techniques. 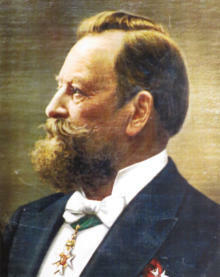 Books Paul Mauser was recognized as an important person during his lifetime and several books were written about him, including books that were written and presented to him in 1908 for his 70th birthday. These books have been used extensively in this research. 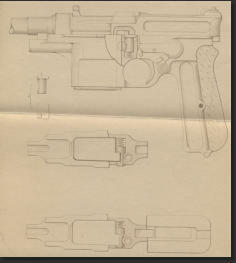 Paul Mauser used photographic techniques from the first year of production in order to maintain configuration and version control of both firearm designs and important documents. Generally, all prototypes and first production firearms for each contract were photographed. Also the different production stages of firearm components were photographed. The photographic technique of the period used different sizes of glass plate negatives. A light- sensitive emulsion of silver salts was applied to a glass plate. This technique produces very high quality high resolution images and it continued to be used until recently in some areas such as astronomy. In the book, we often refer to the V-Abt glass plate collection, which is the original source of these rare items. The legal status of the company changed several times. 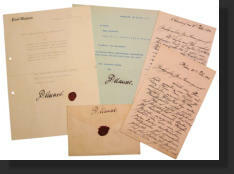 The changes are reflected in legal documents available in the Archive. 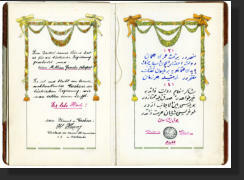 On the right, one of the Paul Mauser personal copy for the year 1897 amended by Paul himself in 1899. It shows the changes made/proposed in 1899. 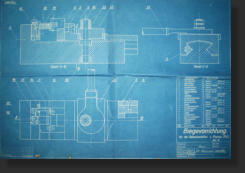 Blue prints and diagrams of the production tools. 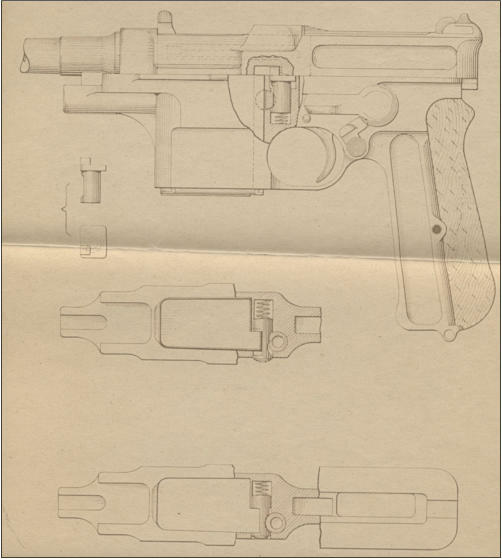 Paul Mauser used photographic techniques from the first year of production in order to maintain configuration and version control of both firearm designs and important documents. Generally, all prototypes and first production firearms for each contract were photographed. Also the different production stages of firearm components were photographed. The photographic technique of the period used different sizes of glass plate negatives. A light-sensitive emulsion of silver salts was applied to a glass plate. 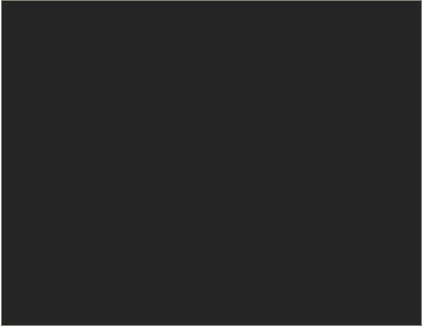 This technique produces very high quality high resolution images and it continued to be used until recently in some areas such as astronomy. In the book, we often refer to the V-Abt glass plate collection, which is the original source of these rare items. 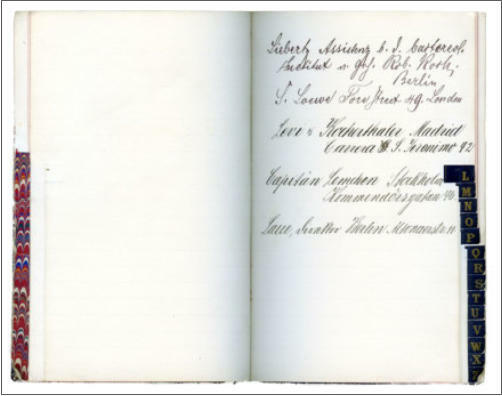 This page contains some samples of the different types of documents available in the archive. A more complete description of all documents is available in the book: Paul Mauser - His Life, Company, and Handgun Development 1838 - 1914.